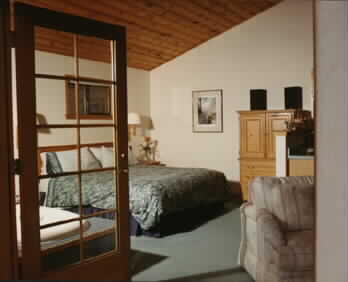 We have several styles of Suites; Family suites and Luxury suites. 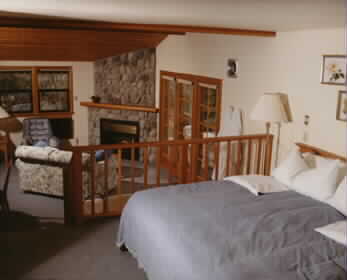 Scroll down the page and see which style will suit the needs of your visit. 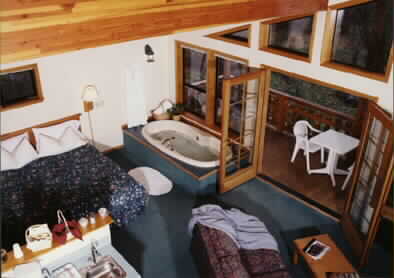 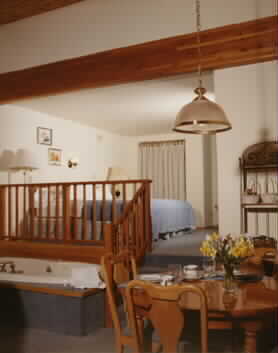 The Alm Suites: Haus Rohrbach's Snowberry and Larkspur suites are separate from the main haus. 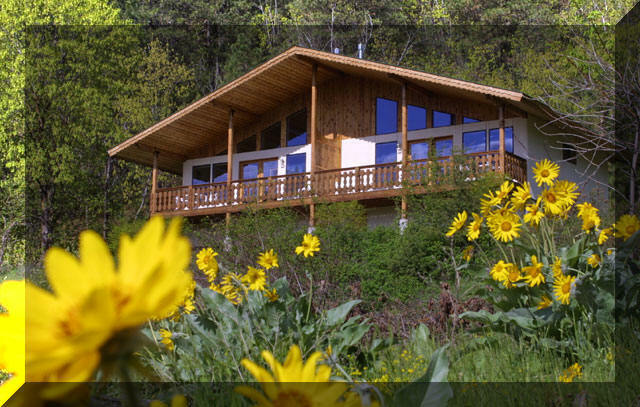 They sit upon the mountainside amongst the trees and wildflowers overlooking the valley. 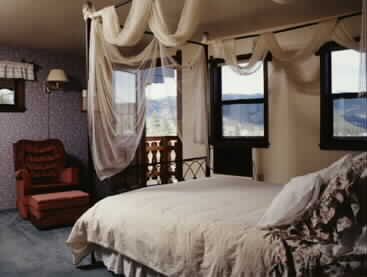 Their exquisite placement and inner comfort leave their quests happily satisfied. 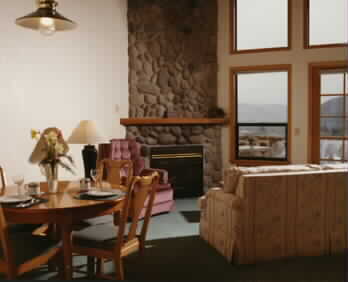 chair, CD player, private deck with valley view. 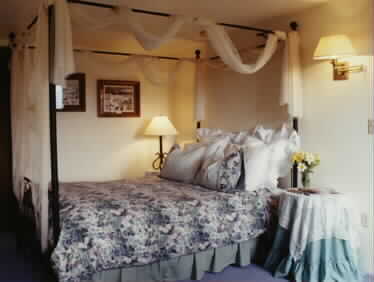 sitting room with twin daybed, table & chairs. 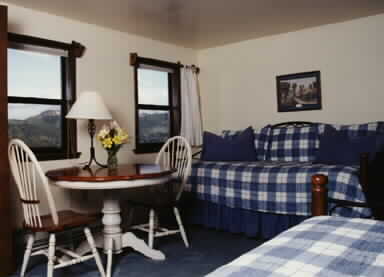 separate sitting room with twin daybeds, table & chairs.